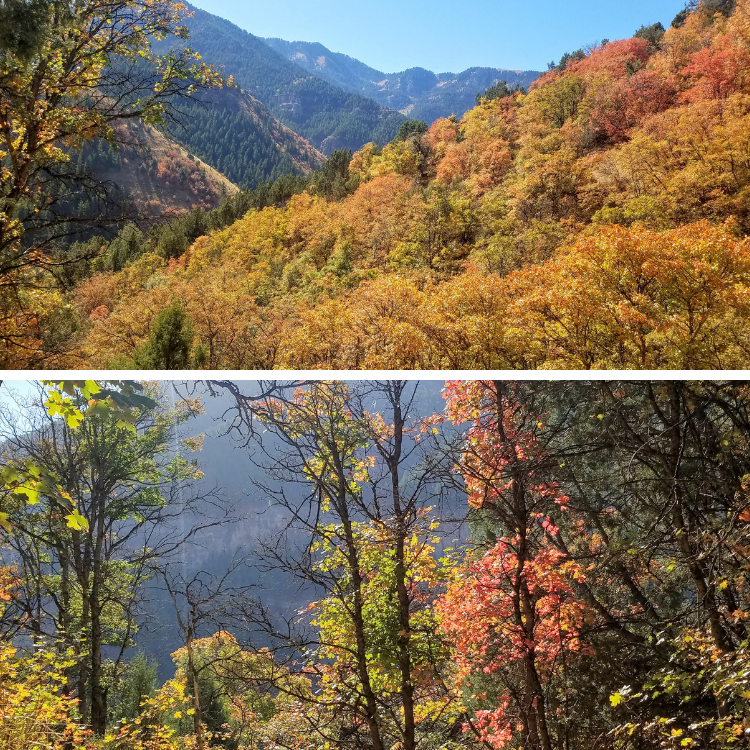 Fall is the ideal time to hike the Wind Cave Trail to see the colorful foliage. 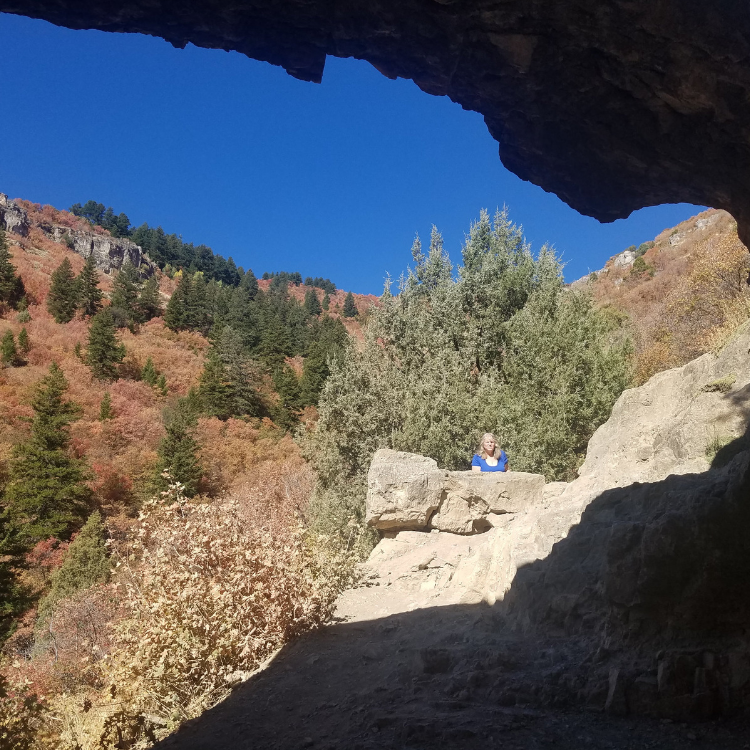 Driving approximately 5 miles up the Logan Canyon National Scenic Byway, you will find the Wind Cave trailhead across the road from the Guinavah-Malibu Campground. 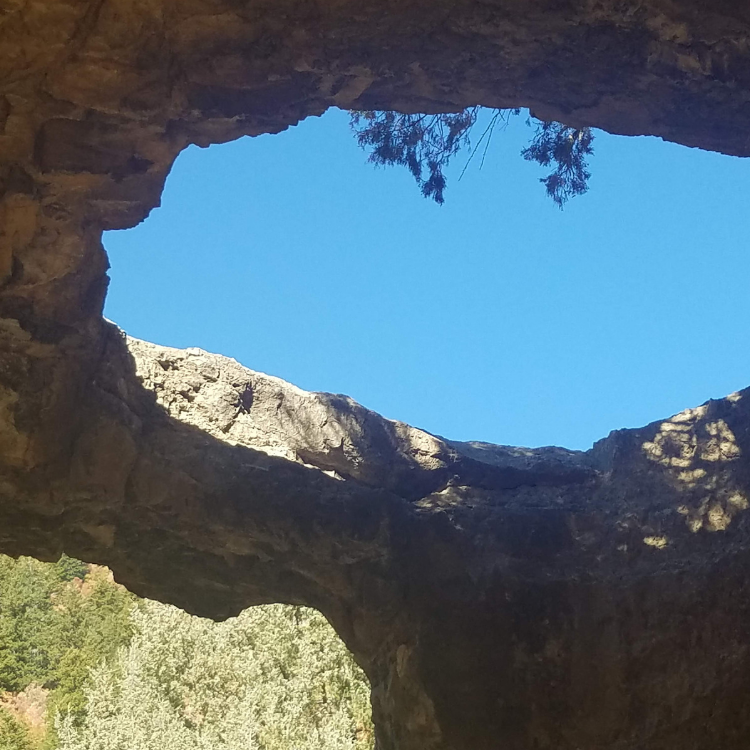 The Wind Cave is composed of a group of natural limestone arches and hollows. It was formed as water seeped through cracks in layers of underground limestone, creating caverns. Downward cutting from the Logan River exposed the caves, and the arches were created by water continuing to erode the limestone. 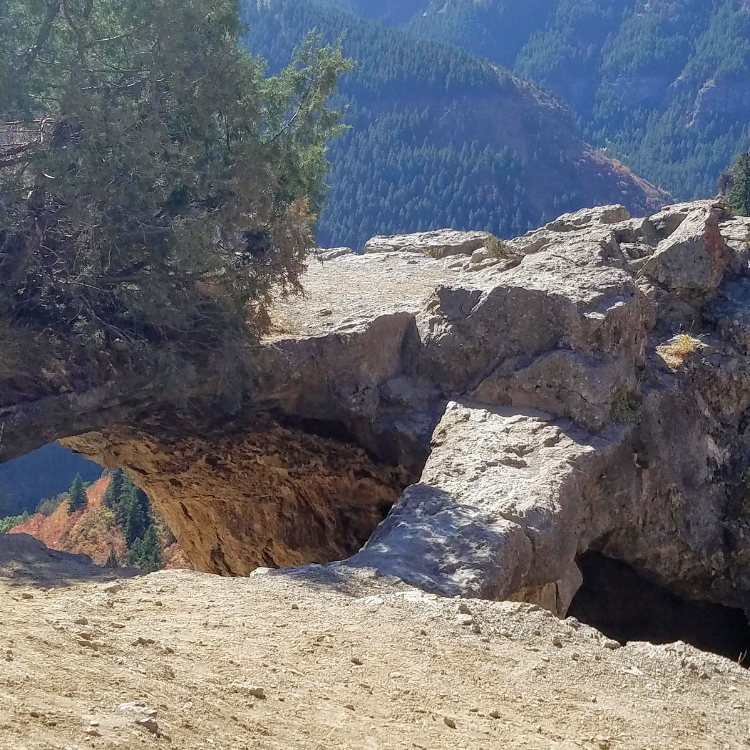 The trail is rated moderate with an elevation gain of approximately 1000 feet. It is 3.5 miles round trip. 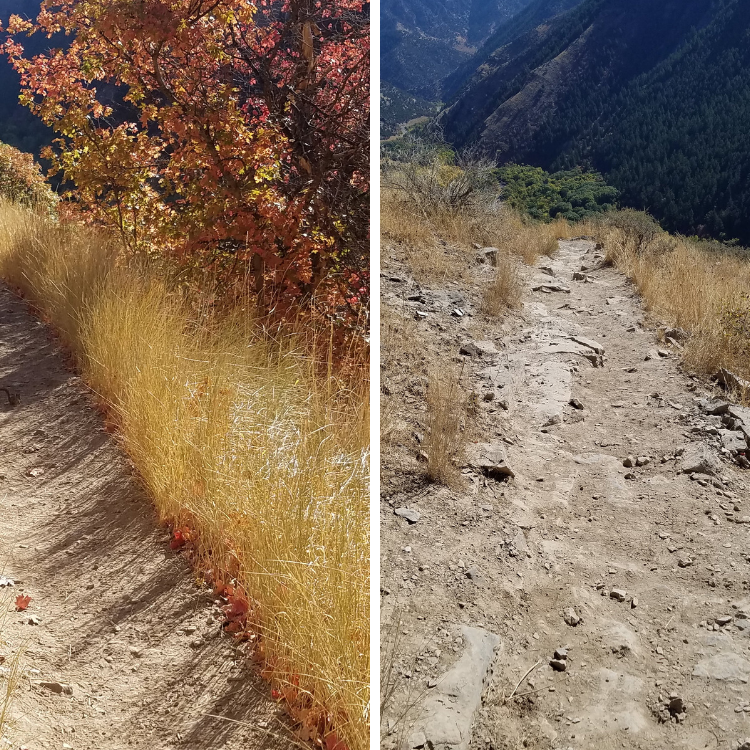 The elevation gain does not appear as steep due to switchbacks. 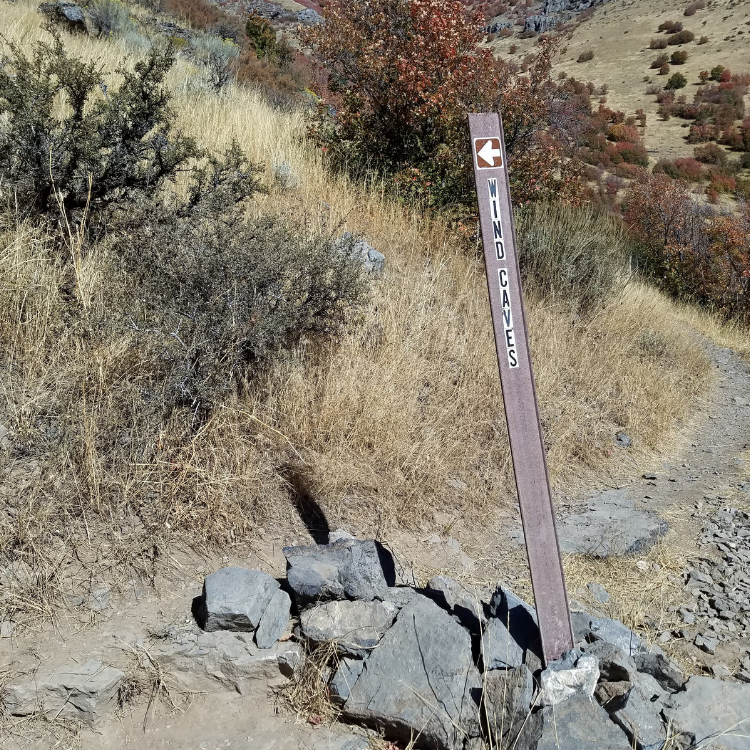 The trail is well maintained and is clearly marked. If there is an unmarked trail that leads off, stick with the wider trail. 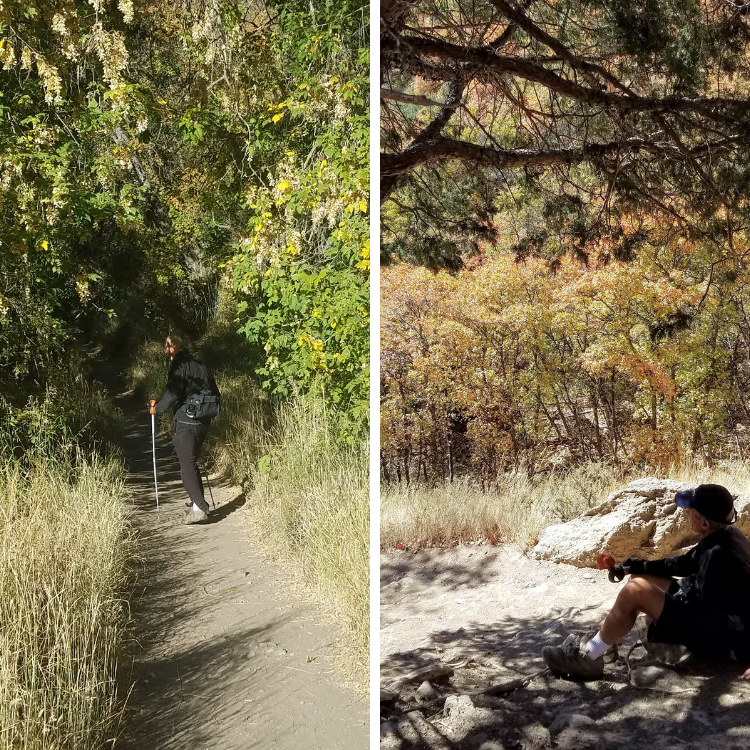 There is shade for the first half of the trail; however the last half does not have shade. It is advisable to dress in layers, wear a hat and protection from the sun. Be sure to bring plenty of water. The trail is heavily trafficked at times, particularly during the weekends. 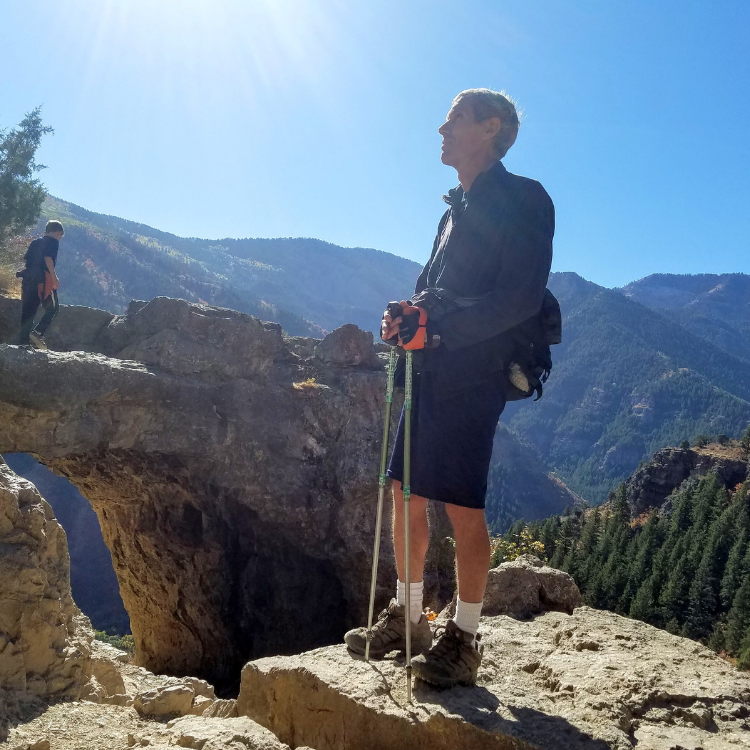 If you prefer to hike when less people are on the trail, weekdays are a good option. Dogs on leashes are permitted. 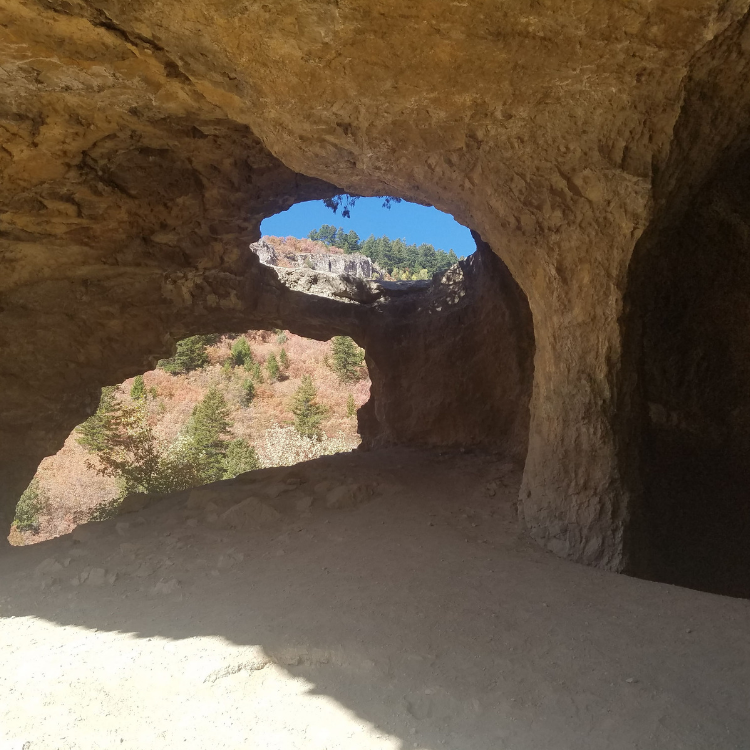 The end of the trail leads to the top of the cave. If you have children with you, be sure to watch them carefully as there are steep drop-offs. 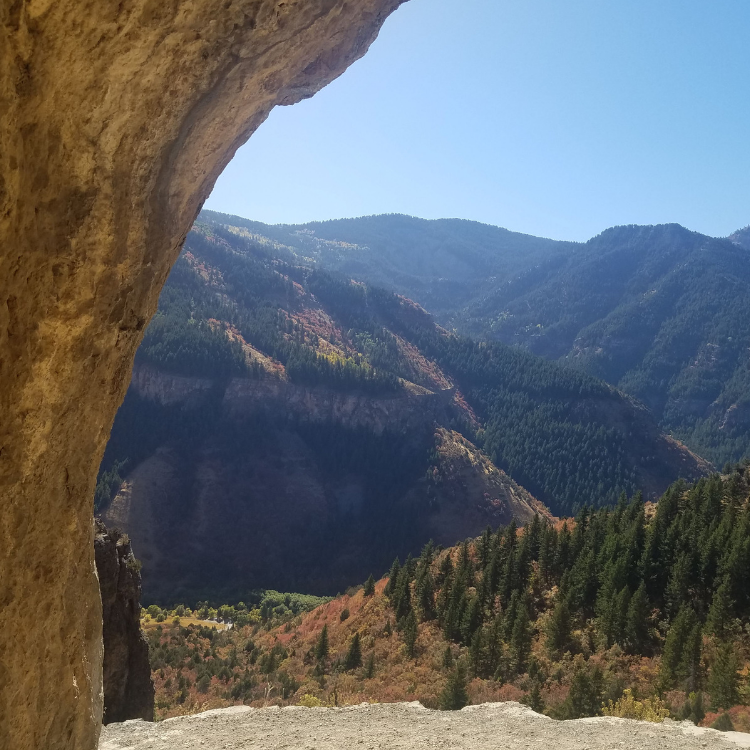 You can climb down into the cave and explore the alcoves. 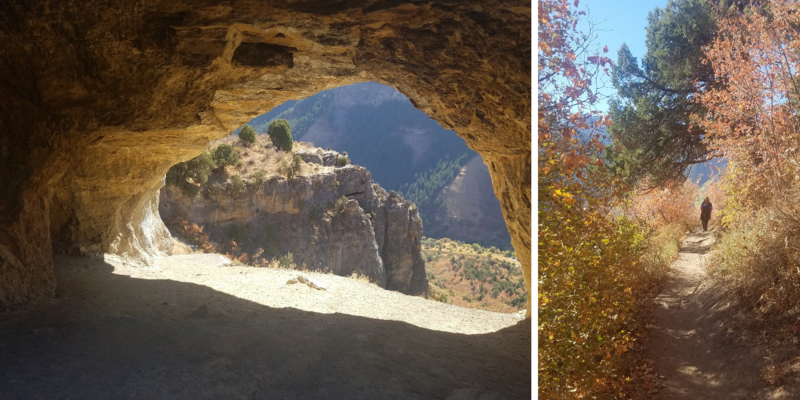 It is a great place to rest in the shade of the cave and take photos of the gorgeous views.